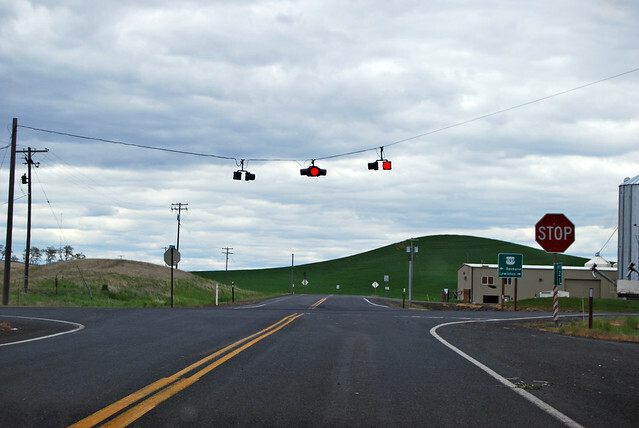 On Saturday, May 26, 2012, we drove up the hill from the Snake River into the Palouse: SR 194. 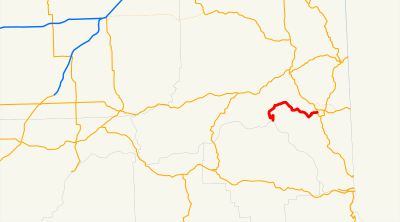 Beginning at the port of Almota, thence northerly and easterly to a junction with state route number 195 in the vicinity of Pullman. 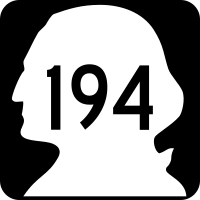 With our backs to the Snake River, we sit at the beginning of State Route 194. 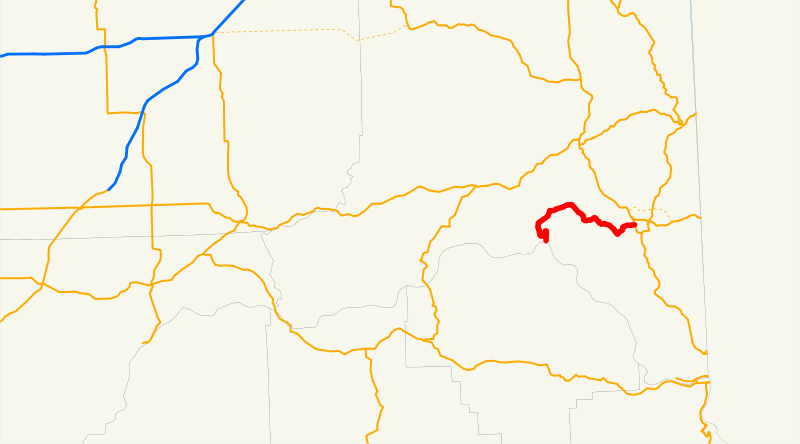 The road itself (and most drivers) barely notice the distinction between county road and state highway as it curves eastward to boat ramps, campgrounds, and the Lower Granite Dam. Up up up the hill we go. We'll climb almost 2,000' before the route is complete. As the code says, eastbound Highway 194 starts northward, but please don't mind the half-mile of south-southwest as we curve around the steep valley of Little Almota Creek. This highway was obviously overlayed on existing farm roads in the area. At Onecho, stop and take a right to stay on 194. Now we're headed east. At the approximate halfway point (pictured above), we're well and truly in the Palouse. Continuing east, we drop down a bit into Union Flat Creek's valley, whereupon we turn sharply right, up the valley. Through the rolling fields we progress. At Wilbur Creek, stop and take a left to stay on 194. More farms and suddenly we're at US 195 without much warning but "stop sign ahead." Spokane? Lewiston? 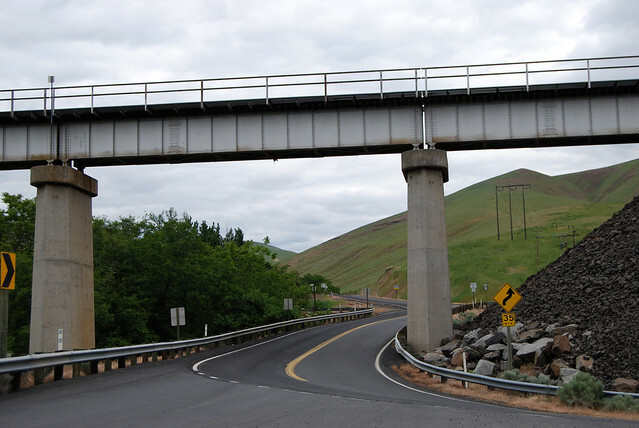 Straight ahead to Pullman, but that's no longer a state highway. And just like that, Highway 194 is completed. 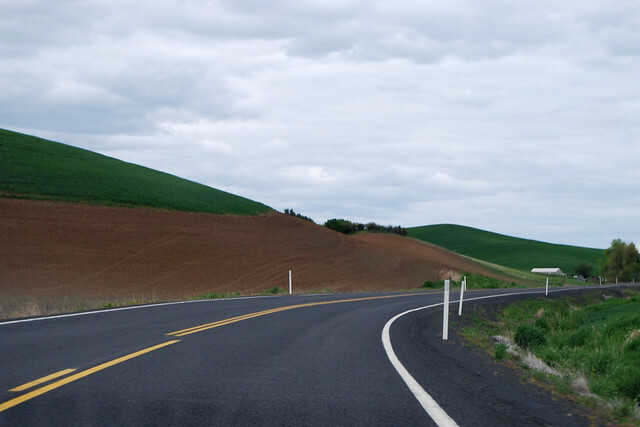 From the semi-free-flowing Snake River to the fields of the Palouse, it's a peaceful, scenic drive. Perhaps come harvest, it will be full of trucks hauling grain to the rairoad or barges on the river, but in the springtime, it's almost deserted.